Have you had snow this year? 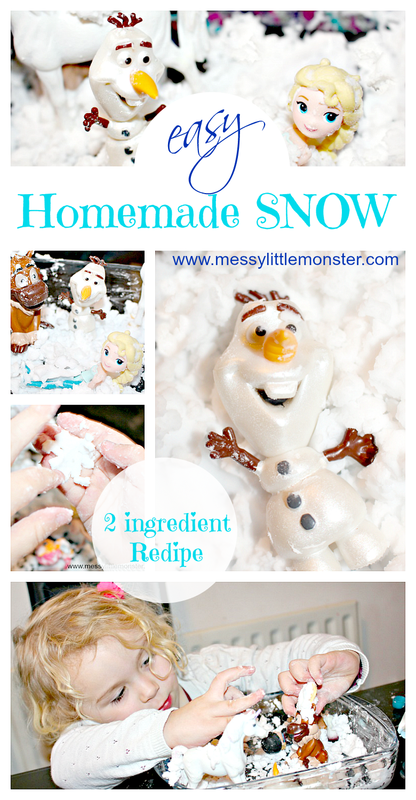 If not follow our easy homemade fake snow recipe to find out how to make DIY snow using just 2 ingredients. 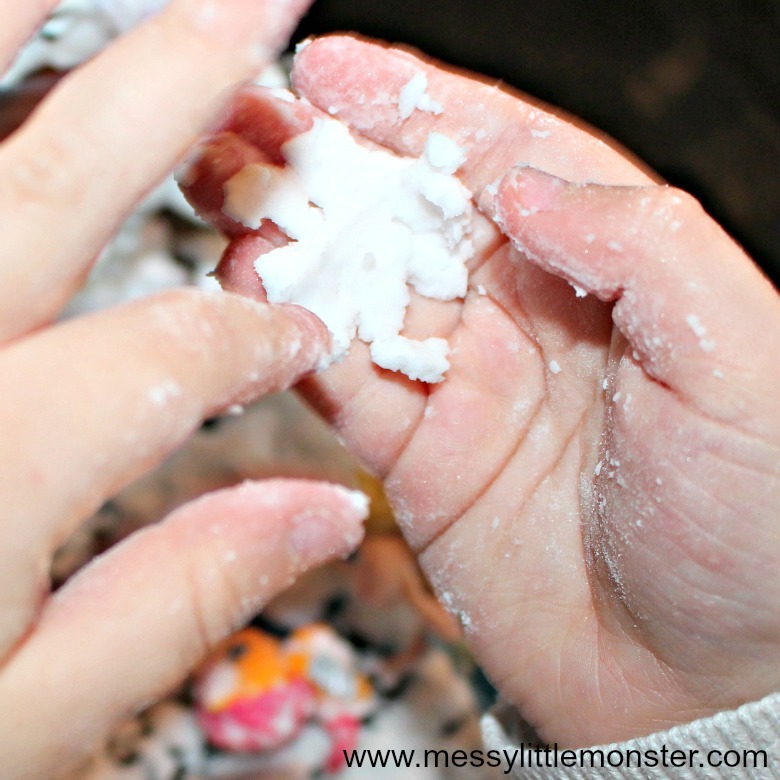 Put the homemade snow in the fridge to make it cold and introduce the kids to a new sensory experience. 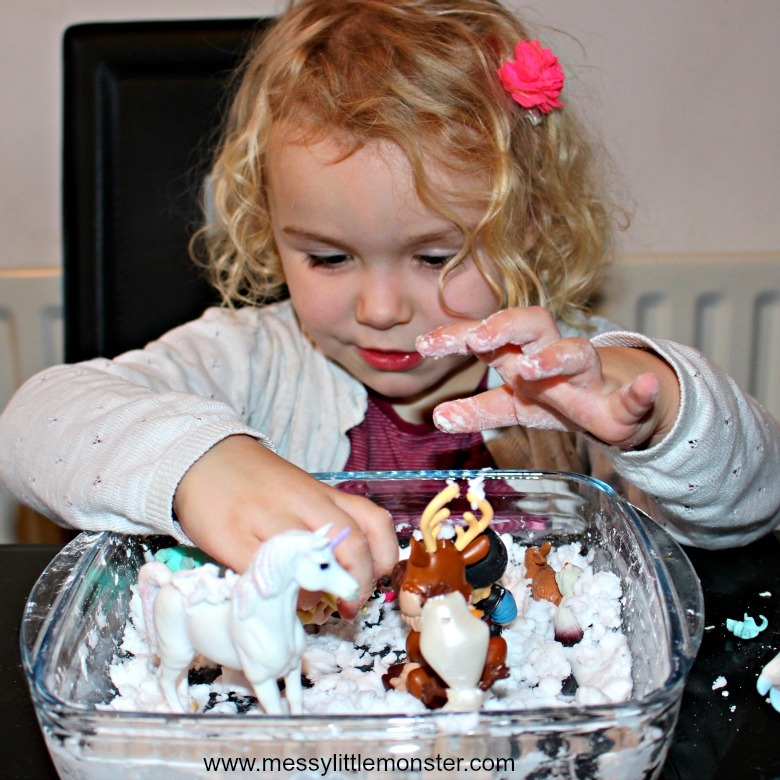 Toddlers and preschoolers will love using their homemade snow to create a small world scene, we chose to make a scene from Frozen. We didn't have any snow this year, but we had lots of fun with snow crafts and activities instead. 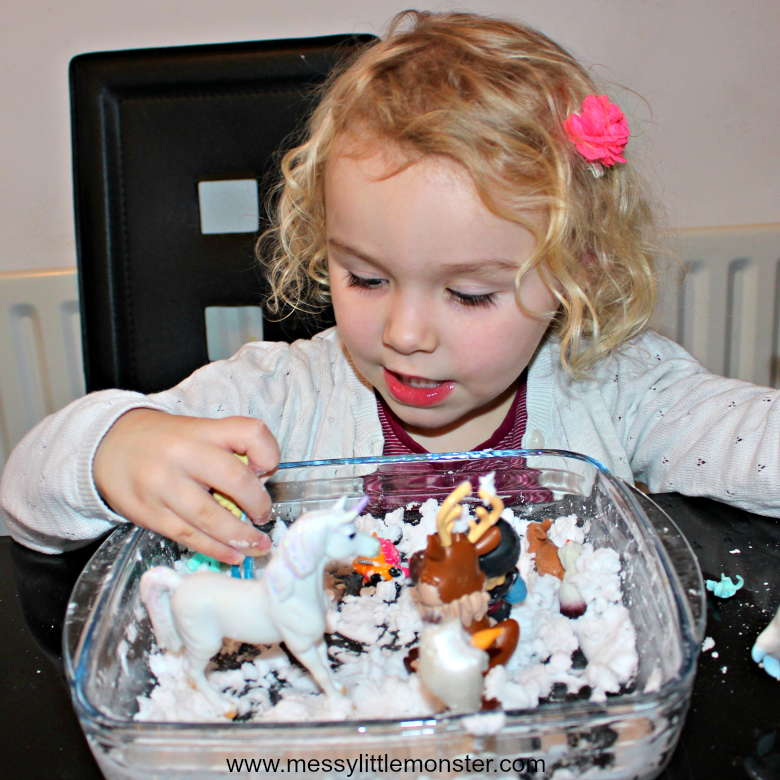 Today we made our own fake snow using just 2 ingredients. 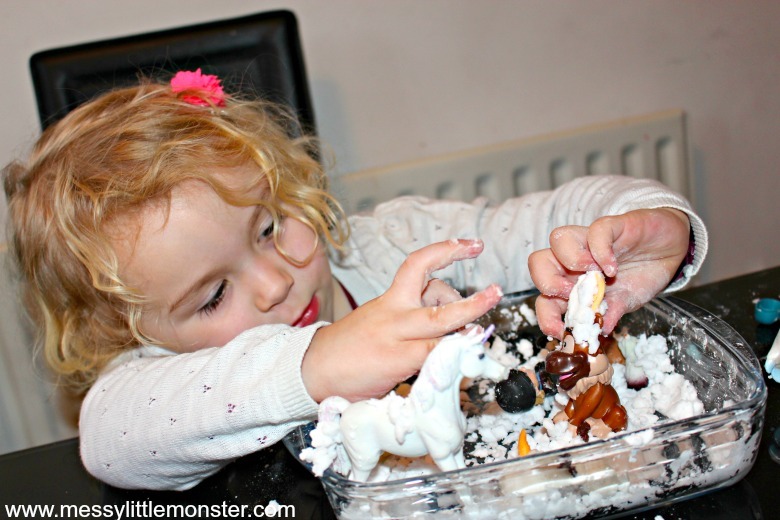 Daisy (aged 3) was playing with her Frozen small world toys and asked for some snow for them to play in. 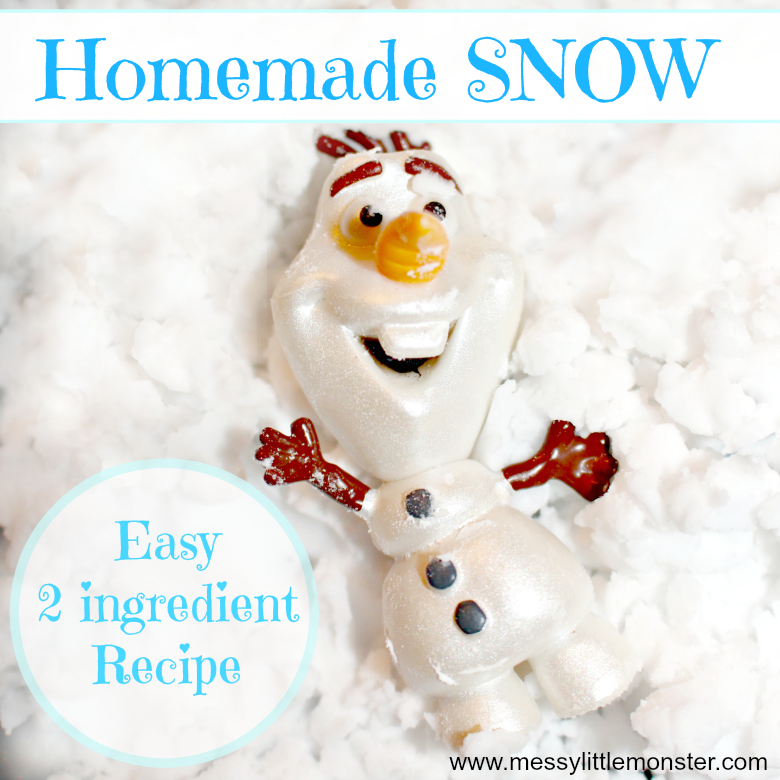 Using our easy homemade snow recipe I had it ready for her within a few minutes. 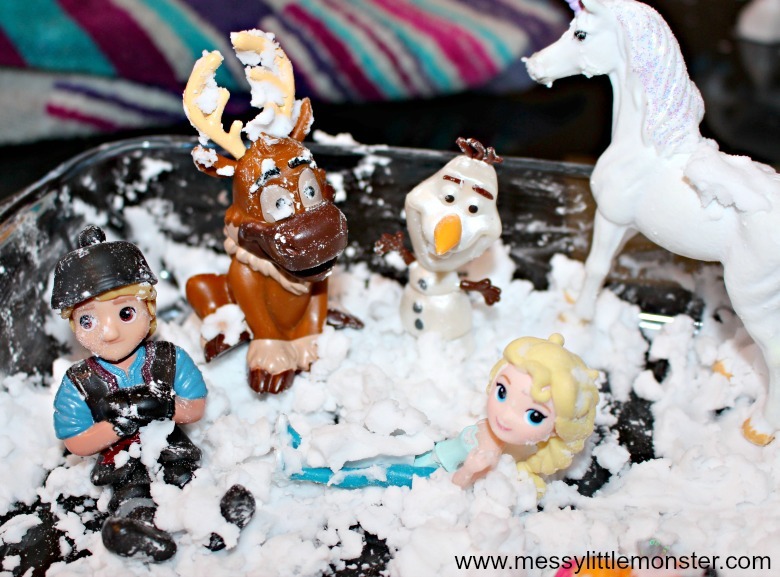 The recipe to make fake snow really couldn't be any easier. Add baking soda to a small tray or bowl. Slowly add small quantities of water to the baking soda until the 'snow' is of a mouldable consistency. Once you can easily mould the 'snow' into a snowball in your hand you have reached the perfect consistency. 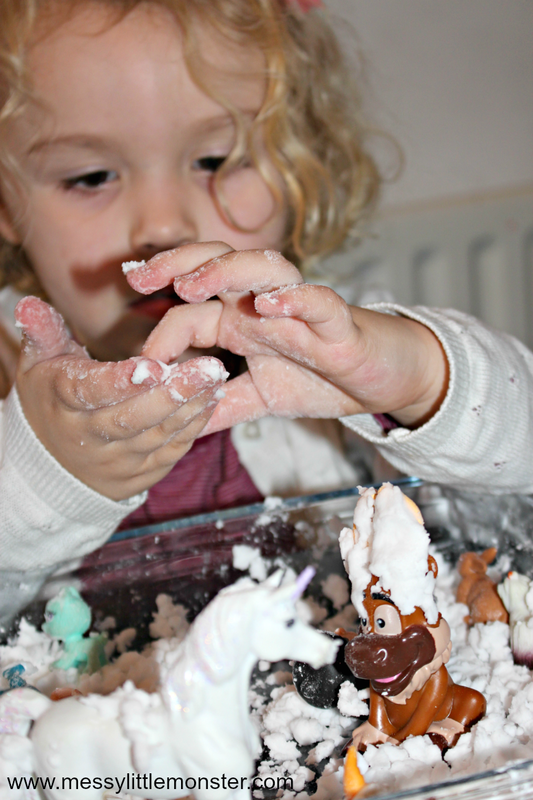 To add an extra sensory experience to this recipe put the tray of fake snow in the fridge for a short time so the snow feels cold to touch. 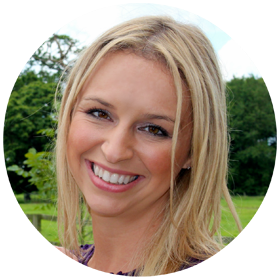 Adding a bit of silver glitter could enhance your snow too, you can't beat a bit of sparkle! The snow can be used to build snowmen and snowballs, just to feel with your hands or to create a snowy small world. Daisy (aged 3) couldn't wait to introduce her Frozen characters into the snow. She also had a unicorn and a few extra pets she wanted to include too! She made snowballs out of the snow and made the snow fall on top of the characters. The characters took it in turns to walk through the snow to create footprints. She enjoyed covering all the characters in snow and chatted away to herself as she played with the small world toys. 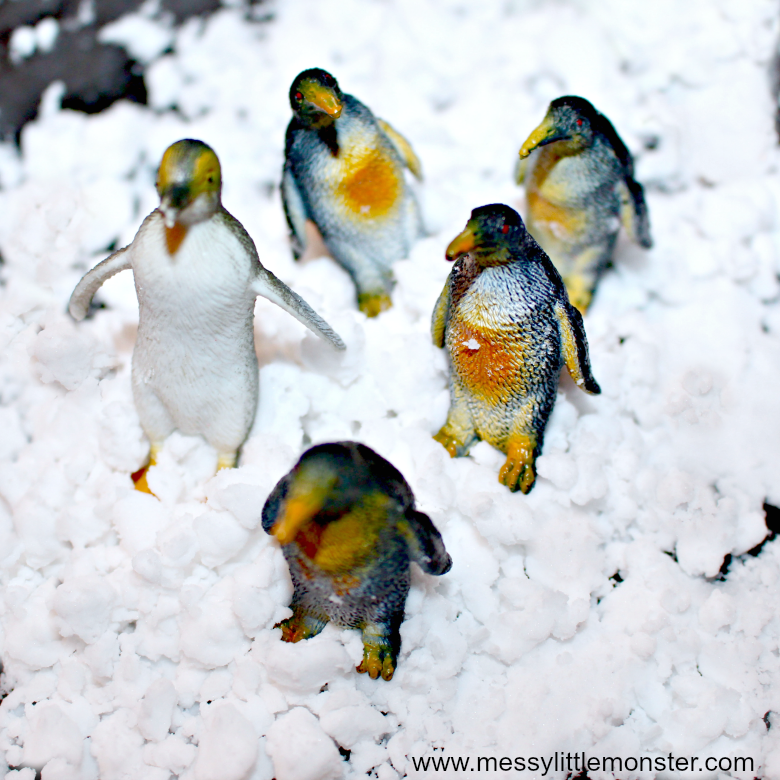 After Daisy had finished with the Frozen small world she gave all her characters a bath in a bowl of water and we added penguins to the snow ready for Harry (aged 6) to play with. This was such an easy play activity to set up and it kept Daisy's interest for quite a while. 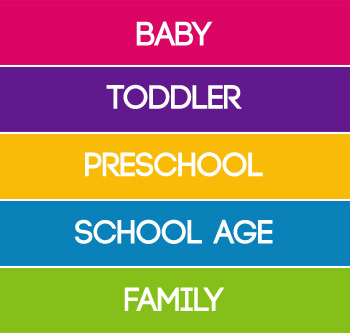 Take a look at our Winter themed activity calendar for 31 more winter themed activities to try.